So this illustration from Eric Gill's Essay on Typography recently showed up on my Twitter stream. In it, Gill shows that there is a limit to the boldness of classical serif typeface, since making the stems too heavy will lead the architecture of the letters ad absurdum. He calls this overbold, and obviously means to discourage the reader from inflicting it on an actual typeface. So of course, I did it anyway. I think this is quite charming (especially the "B"). The core flaw of Gill's sentiment arises from something most type designers misguidedly cling to: chirography as letterform architecture. Damn lucky type isn't art. Type designers from a bygone era were never familiar with today's tools and could never imagine how quickly we can mock up test words. 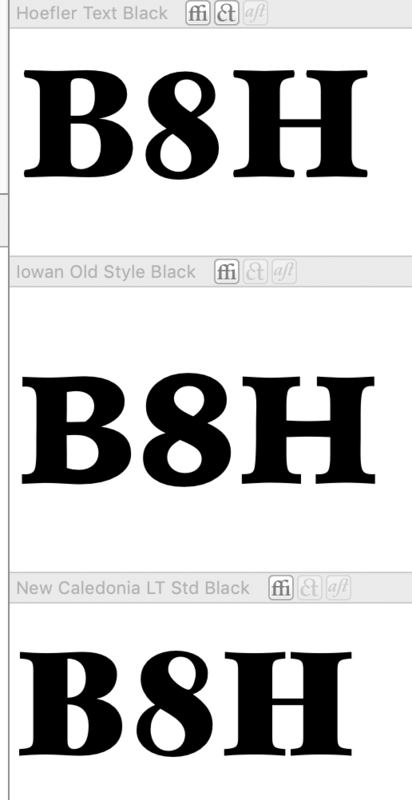 It is precisely the "B" that could be shaped much more consistently. I remember that there was one major typeface - Futura? Bodoni? - that had a "black" version that didn't really look like it was a member of the family. So I think a valid concern is raised. Although it's the wrong kind of concern, in a way. To say that after the weight of a typeface is raised beyond a certain point, the result no longer looks like a weight variant of the original typeface... may mean that the result is merely named wrong, without being a bad typeface, not having been worth drawing. So the concern can be valid while what it implies is invalid. I remember that there was one major typeface - Futura? Bodoni? - that had a "black" version that didn't really look like it was a member of the family. Both Futura Black and Gill Kayo seem to be members of ~ entirely different families, with only a nominal relationship. Gill's 'overbold' illustration seems to me deliberately freakish, employing forms and techniques that don't follow from the models of extreme heavy types that were developed in the 19th Century, e.g. those from A.W. Kinsley & Co., whose 1829 specimen should be studied by anyone interested in really heavy types. That's only true of his #12. It seems that this thread is the better place, then, to reply to your statement "Presumably desiring a freedom that is anti-user. Art." in the related thread. Type, by and large, is indeed a tool for practical use. And so type designers should keep the ultimate use of what they produce in mind. That makes sense, I'm not inclined to argue against it at all. But do I see signs that Monotype Imaging, or Bitstream, or any of the other major foundries are about to let their type designers forget this for a minute? Nope. What I do see is bazillions of type designers, some struggling to actually sell some of their fonts through MyFonts and the like so they can make a living despite rampant piracy, and others who just do it as a hobby and upload their stuff to Google Fonts, hoping it might actually get noticed. Do I feel threatened that some of those type designers maybe think they're Vincent van Gogh, and design typefaces to satisfy their own creative urges instead of some practical need? A typeface is a collection of graphical images. So type design is a field within the graphic arts. A typeface can be a work of art and a practical tool at the same time, and there is really nothing in the nature of type itself that forces its creator to choose one of those alternatives instead of the other. Type can be an art, it can be a craft. Nothing is making the choice for the type designer - except, possibly, the need to pay his rent. Also his overbold serif (No.8), I think. Type designers and sign painters had figured out more than a hundred years previously that the way to make a really heavy A and still have reasonably sized counters is to make give it a flat top, i.e. to add proportionally more weight on the outside than the inside. Some letters are normal and some are funny-looking but charming--only the /R/ is really not working for me. This is already normal practice. The eye is more important than the ruler. Good point about the /R/. Meanwhile, I've started on the lowercase. Funny: This is a sort of typeface I normally can't stand, but it's ironic enough that I can like it that way. Yes, the /e/ is ugly; I'll have to change it. Nice treatments of lc descender on the g and j. Yes, fun /g/, looks like a satisfied pet laying down on its tail. Did you try small tittles, in the vein of the /a/ teardrop or /Q/ tail? 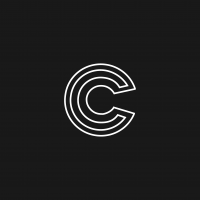 Radius on the rounded tops of ascenders seems too wide to me. Thanks! Yeah, /g/ was tricky. It's probably the lowercase letter that best picks up the «big body, small face» principle of the seminal /A/. I'm wondering whether I can make a few other letters weirder in the same way. I've been wondering whether I could get away with an /e/ with only one heavy stem, like /c/, and a tiny face on the right side. Capital /J/ originally had the same tail as /j/, but I simplified it because no other cap echoed that drop terminal (other than Q, I now realize). Maybe I should bring that back. Added missing lowercase letters and made some changes to /J/Germandbls/c/e/. I also sharpened the tops of the ascenders and related step tops in /n/ etc. Interesting! He's definitely preserving the «sane» shape of the letters, though; the only deformation seems to be some strangely informal-looking bulging at the detailing level. First draft of figures. Still pretty chaotic. Your zero's taking a nap... Nice. I've always loved the logo of De Volkskrant (a major Dutch newspaper), which has a similar, albeit less comical, style. Cooper Fullface was later renamed Cooper Modern when picked up by ATF and a new 'f' was designed, due to criticism of the original shown in Nick’s scan. When I get a spare moment I can make a scan from the Book of Oz, if you’re curious. Nice catch, Jasper! 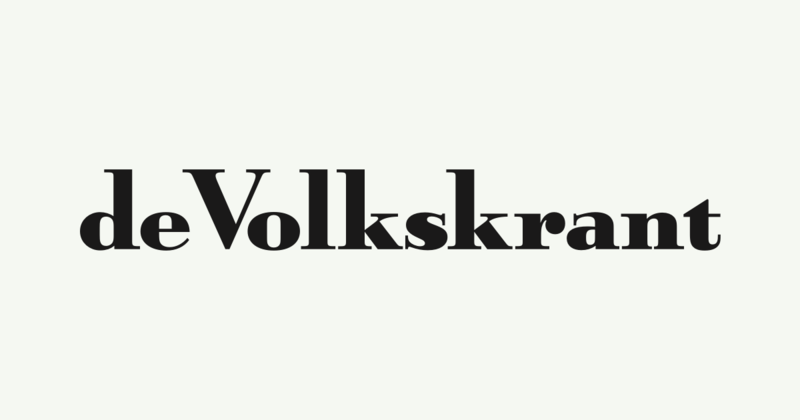 Actually, the Volkskrant reminds me more of my Maestrale than of Overbold, what with the tall ascenders.